Desert & coast, fully customizable - ask us! 1 day/0 nights. A full-day excursion for families and ocean lovers, beach combing and rock pooling with our resident Marine Biologist. We’ll leave in the morning and start our exploration at the White Dune, where we’ll discover all the secrets of the Dakhla bay and its fragile ecosystem. Be ready to get your feet wet! 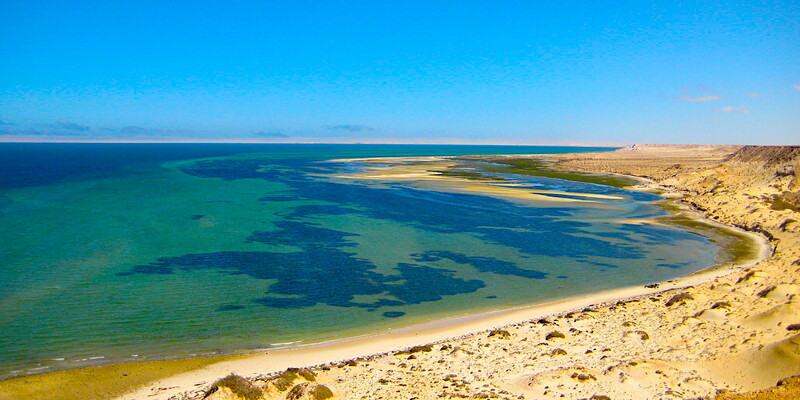 We will then drive back to the Dakhla peninsula and stop for lunch at PK25, looking out for possible dolphins. After lunch we will move to the Atlantic coast, on one of the most iconic beaches of the area. We will walk on sand and on the sea foam, picking up little treasures brought by ocean waves and discussing about their origin and importance. Back to your hotel in the late afternoon. The excursion begins at your hotel in Dakhla, in the morning, and ends at your hotel, in the afternoon. Lunch included as a picnic along the Dakhla peninsula (spot or spots depending on season and conditions): prices starting from 30 Euro/pax (example for groups of 4 pax). Prices for coastal tours depend on several variables, including length of itinerary and number of guests. Our itineraries are fully customizable and suitable for individuals, pairs and small groups up to 4-6 people – ask us for your tailored trip!